After the 6th generation Sky Lake micro architecture intel processors. Now there are intel’s powerful Kaby Lake porcessors that were announced on August 30 2016. Intel has been the best for its technology and CPUs when it comes to computers and hardware. The latest most Powerful 7th Gen kaby lake technology processor from Intel is Core i7 7700K based on 14nm chip of FinFET Technology. Recently Samsung has also begun first mass production of 10nm FinFET chip. The reason why I am here is to tell you that the new most powerful i7 7700K processor has been overclocked to 6.7 GHZ by a chinese developers team HKEPC. The processor showed massive results. 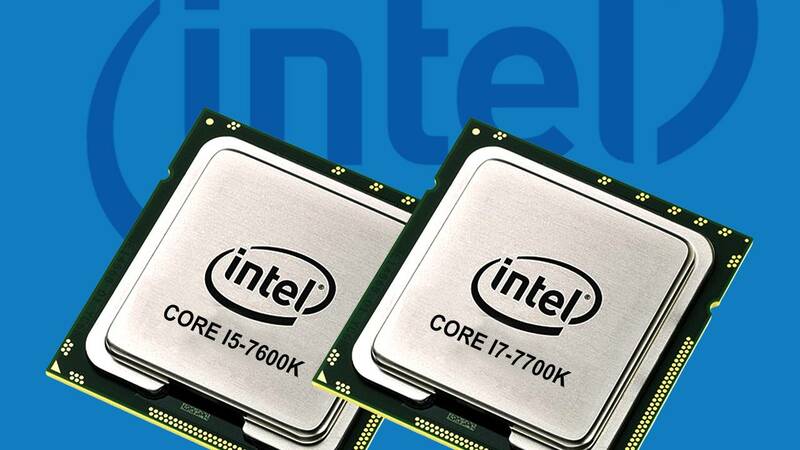 The default core clock speed of 7700K processor is 4.2 GHz which can boost upto 4.5 Ghz. The kaby lake i7 7700k is the most powerful and fast intel processor. It has 4 Cores with 8 threads. The default core clock speed is 4.2 GHz and a L3 8 MB cache performance. Although Kaby Lake processors have the same CPU cores and performance and compare to the previous Sky Lake technology. But there is been a slight change in stability and power of the chips including advanced 14nm FinFET technology. Some features of Kaby Lake includes faster core clock speed changes, improved graphics core, better 14nm process with a bunch of other improvements. Now coming to the real topic. The new i7-7700K cpu is overclocked to 6.7 GHz on LN2. As you know that the Kaby Lake is an improved version of Sky Lake based on same architecture. This is the fact that Kably Lake processor can be used with sky lake motherboards. 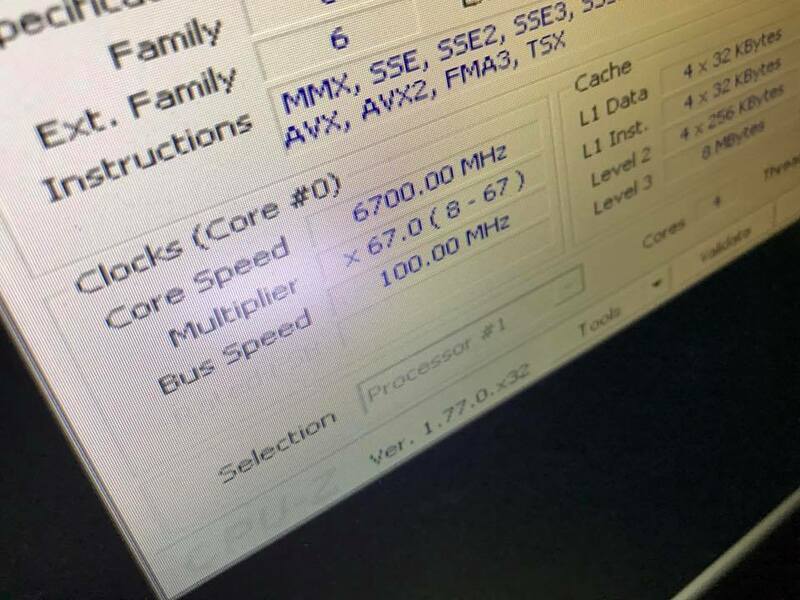 The processor core i7-7700k is overclocked by HKPEC team. This chip was overclocked on AsRock Motherboad with LN2 cooling. They did some tweaking by increasing the multiplier 67 times making it to run at 6700Mhz which is equal to 6.7GHz. Let me also tell you that Intel Core i5 7600K is overclocked as well up to 5.1 GHz. The core clock speed for this processor is 3.8Ghz with 4 cores and 4 threads. And that is all I know for know about i7 7700 overclocking. Will share benchmark results also. You can drop your comments below and share your views. Please share it and subscribe. Follow us on Twitter, Facebook and Google+.